Open Road Films, in partnership with Five Star Feature Films, will release “Jobs” – the highly-anticipated film chronicling the story of Steve Jobs’ ascension from college dropout to one of the most revered creative entrepreneurs of the 20th century – nationwide on April 19. April 2013 will mark the 37th anniversary of the founding of the Apple Computer Company. 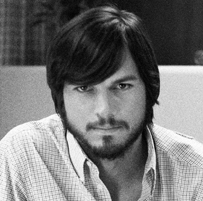 “Jobs” premiered Jan. 25 as the closing night film at the 2013 Sundance Film Festival. Directed by Joshua Michael Stern, written by Matthew Whiteley, shot by Oscar-winning cinematographer Russell Carpenter and produced by Mark Hulme, “Jobs” details the major moments and defining characters that influenced Steve “Jobs” on a daily basis from 1971 through 2001. “Jobs” plunges into the depths of his character, creating an intense dialogue-driven story that is as much a sweeping epic as it is an immensely personal portrait of Steve Jobs’ life. The filmmakers strove for absolute authenticity in making the film, including shooting in the historic garage in Palo Alto that served as the birthplace to Apple Inc. “Jobs” stars Ashton Kutcher, Dermot Mulroney, Josh Gad, Lukas Haas, J.K. Simmons and Matthew Modine.